Below are links to interesting and valuable websites! No matter where you are in the world, theres probably someone sailing Spectre boat near you and if there is not , I can send one! Remember to support your local hobby store when purchasing radio controls for your boats as they can help you long term and your support keeps them there for you. You can even give them a link view and stock some of the boats here! 507 Footy leads the way in the 2009 Championship! Sandringham Yacht Club - Victoria , Australia. Our home club for big boat sailing. Sailing Anarchy. The latest news and views on big boats and sailing in general. American Model Yachting Association. Resource for classes and alot of suppliers. Radio Sailing Shop Australia. 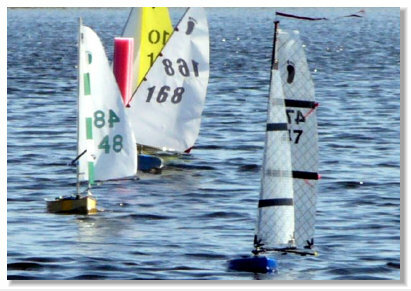 Model yacht fittings and stockists of SailsEtc brand parts.